The first and easiest way is to choose your size from the vendor list. For instructions on how to do so, you can follow along with our video or read through the steps below. 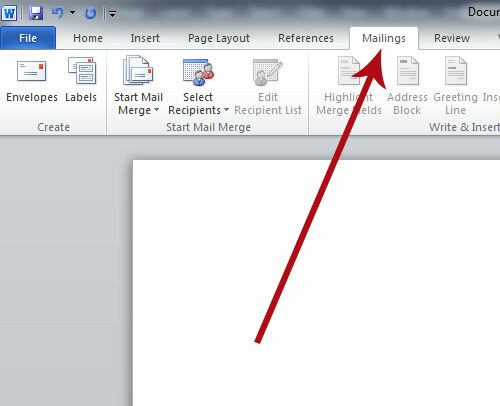 Click on the Mailings tab in the Microsoft Word menu bar. 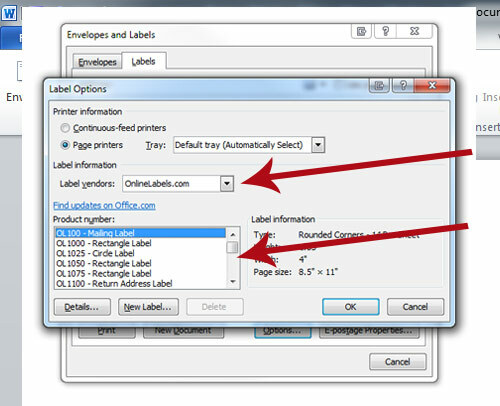 Click on the Label vendors drop down and select OnlineLabels.com and the product number of the label you're printing. 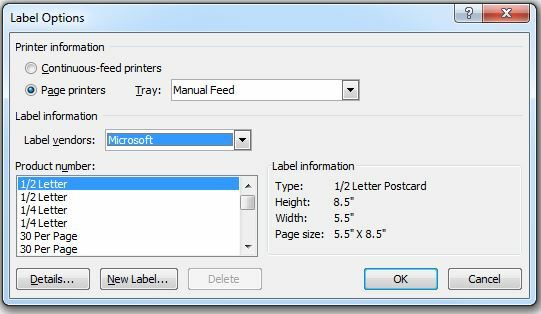 If the label size you're looking for isn't offered by your version of Microsoft Word, you can still create your labels! 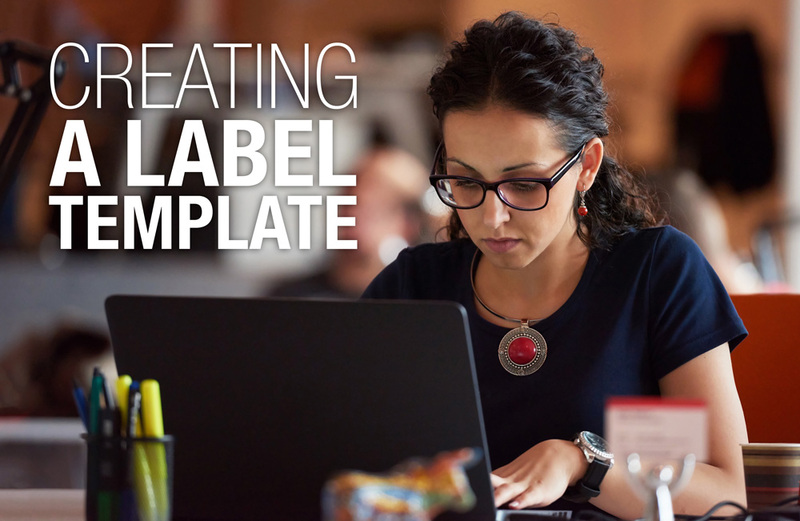 Stick with us as we walk you through the process of creating a custom label configuration. At the bottom of the dialog box, click the option for New Label…. In the subsequent popup, don't feel overwhelmed by its diagram or number of fields. You don't have to pull out a ruler for this, unless you want to. This information is all available on our website under the Actual Dimensions tab of each product. We've also provided an explanation of each field below. Top Margin: The space from the top edge of the first row of labels to the top of the sheet. Side Margin: The space from the side edge of the sheet to the side edge of the closest column of labels. 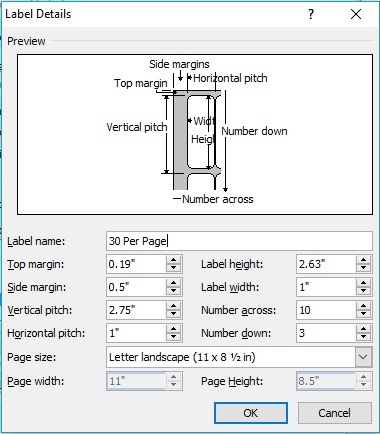 Vertical Pitch: The space between the top edge of a label and the top edge of the label underneath it. Horizontal Pitch: The space between the side edge of a label and the side edge of the label next to it. Label Height: The height of the label measured from the top edge of the label to the bottom edge of the same label. Label Width: The width of the label measured from the side edge of the label to the opposite side edge. Number Across: The number of labels across each row of the sheet. Number Down: The number of labels down each column of the sheet. Fill in the fields and click OK to close the Label Details dialog box. Hit OK again to close the Label Options dialog box. 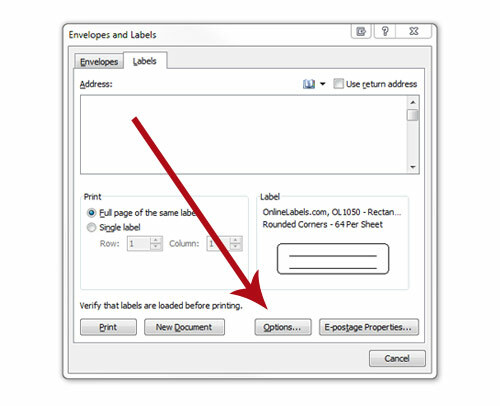 Select New Document to open your label template. Whether you created your own label template or selected ours from the drop down, best of luck creating your labels! 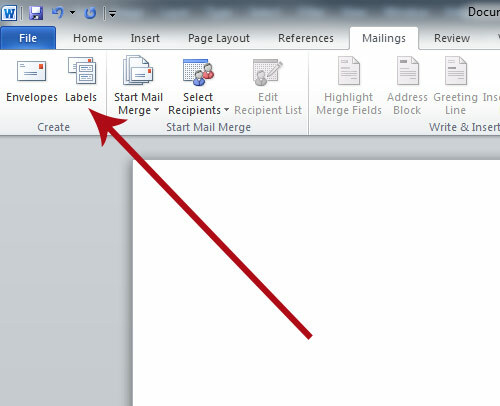 For additional tutorials, like using Mail Merge in Microsoft Word, visit our Label Learning Center. Next time, if you'd like more design functionality without an expensive design program, try Maestro Label Designer, our built-in design software preloaded with all of our label configurations and a bunch of design features.